Plus, the Clan Creator returns. Sega has updated the official website for Yakuza: Kiwami 2 with information and screenshots on the game’s additional scenario “The Truth of Majima Goro,” the battle system, and more. 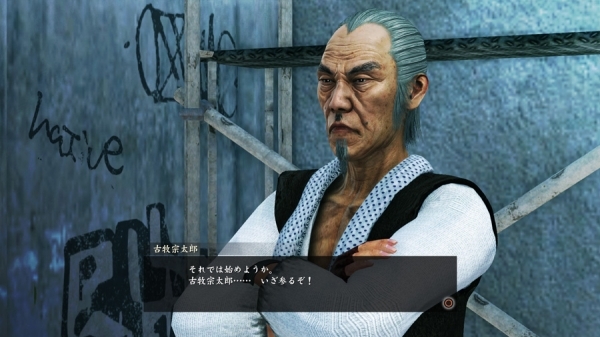 Yukio Terada, who was nominated by Kazuma Kiryu, the Fourth Chairman of the Tojo Clan, and became the Fifth Chairman, promoted a policy to recruit new blood called the “Tojo Clan Reform” in order to rebuild the Tojo Clan on the economic front following the collapse of its foundations in the previous incident. Progressively appoint those who can earn regardless of means, and eliminate those who cannot. And appoint the most hardworking person to “waka gashira,” the position of which is currently vacant. Terada enforced measures for senior leadership, fearing the fall of authority, to push through with heavy restraints. 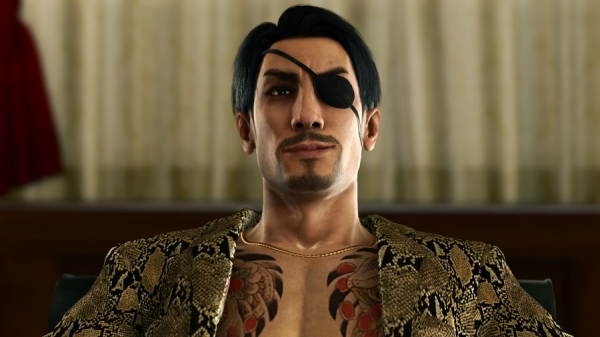 As a result, Majima Family boss Goro Majima, who produced large profits in the buying and selling of real estate, and Uematsu Family boss Akinobu Uematsu, a rising influence, competed for the position of waka gashira. 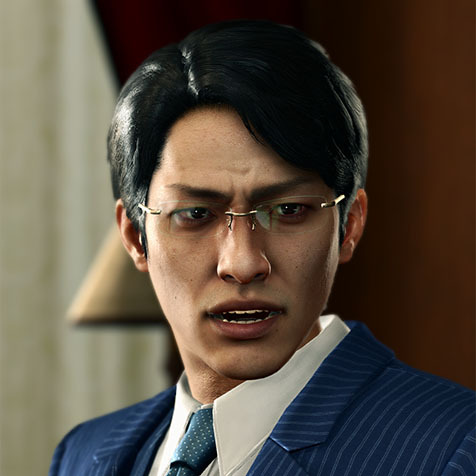 In the meantime, the Majima Family offices were attacked by men who seem to be with the Uematsu family. Single-handedly, Majima marches into the Uematsu family’s office. But within it was a scene even he couldn’t imagine—. A woman who was caught up in a conflict involving the “Empty Lot” about 20 years ago. At the time of the incident, she was temporarily blind due to a mental illness, but is now recovered. She works as a chiropractor in Sotenbori. 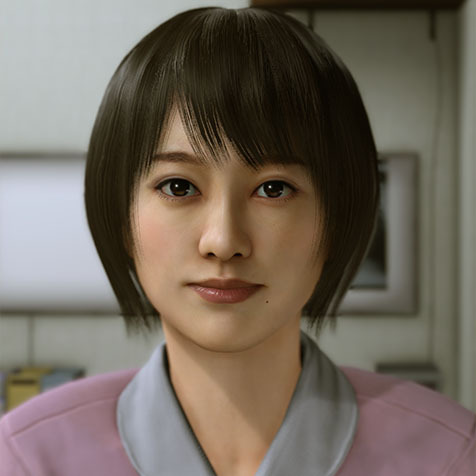 A young clan member who admires Majima and proactively approached the Majima family. While he may be a little careless, he is loved by the senior family members because of his sociable personality. 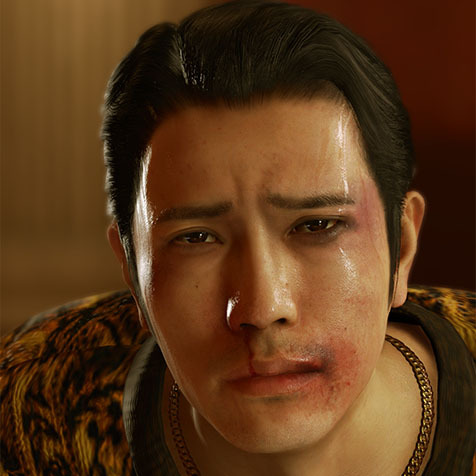 He was entrusted with driving and taking care of personal belongings, and always acts with Majima. A man with a unique background in consultation. He possesses an overwhelming amount of knowledge and the capacity for making rational judgments. Like Uematsu, he was appointed the leader of a sub-clan around the time Terada was inaugurated as Fifth Chairman. He has a mutual, “give-and-take” relationship with Uematsu. He dislikes senior management, who are fixated on old values like moral obligations and humanity. A capable man who was chosen as leader of a sub-clan by the wakashu of the tertiary organization. Terada, who is rushing to implement his Tojo Clan Reform policy to recruit new blood, values his ability. He is the man who currently earns the most money in the Tojo Clan. He is aiming for the seat of “waka gashira,” which is currently vacant. 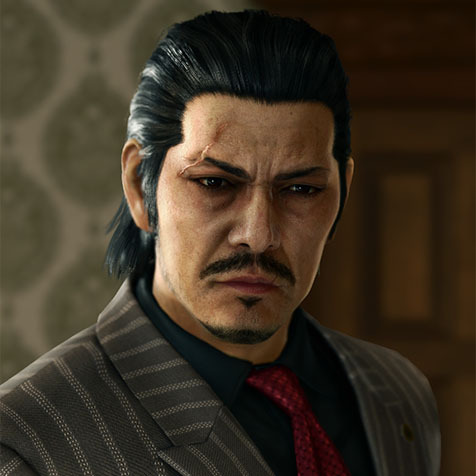 He is also hostile to Majima, who is also a contender for waka gashira. In this game, you can use your favorite weapons at any time by storing them in your pocket. Tke advantage of this system when taking on formidable enemies and large groups to use a weapon best suited to the situation. Sotaro Komaki, the legendary martial artist who appeared in the previous title (Yakuza: Kiwami), will appear again in this game. By “training” with Komaki, you can master the Komaki style of ancient martial arts. 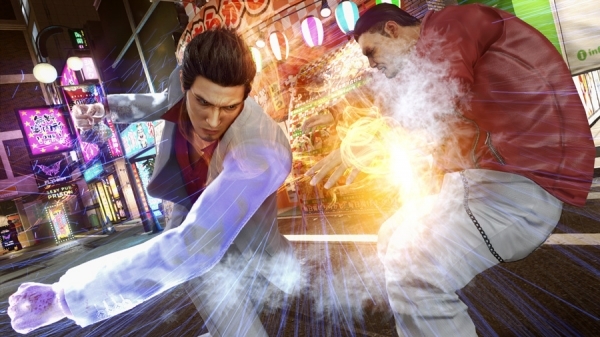 By mastering these “soft” techniques, which are different from Kazuma Kiryu’s brawler techniques, and the Komaki style of ancient martial arts, you will be able to significantly expand your range of combat. There are also Komaki style Heat Actions. The “Komaki Style Fist Reversal” is a strong counter Heat Action used against an opponent’s attack. This is an omni-directional attack that hits the enemy with a counter no matter the direction from which they attack. It sees through the movement of the enemy’s strength and knocks them back with a powerful and unmatched blow. By training with Komaki, you can master this technique. 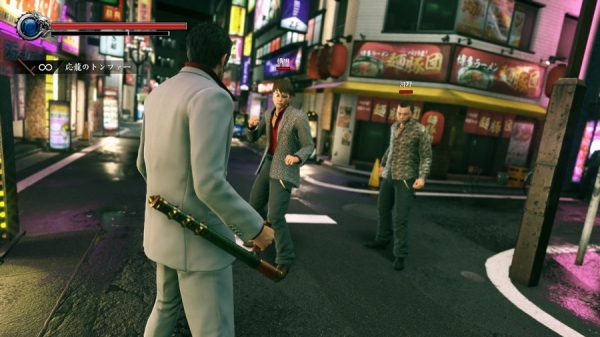 People who have become “familiar” with Kiryu can cooperate with him in battles against enemies. 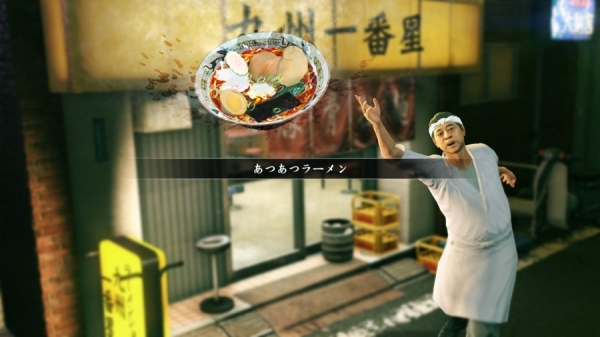 For this, there are dedicated Heat Actions called “Friendship Heat Actions.” For example, the old man who runs the ramen shop or the woman who runs the snack bar will use the tools of the trade to which they devote themselves in order to support Kiryu in battle. Each Heat Action is unique and a must-see. Example #1: By frequenting the “Kyushu Ichiban Boshi” ramen shop and making friends with the manager, you can unleash a “Friendship” Heat Action that damages enemies with a bowl of piping hot ramen. Example #2: By making friends with the woman who runs the “Atenshi” snack bar, you can unleash a “Friendship” Heat Action that damages the enemy with… whatever tool there is of her trade (?). In addition to these two shops, you can become a “familiar face” at various shops in Kamurocho and Sotenbori. Heat Actions that can be unleashed in all sorts of scenes are well and alive in this game. 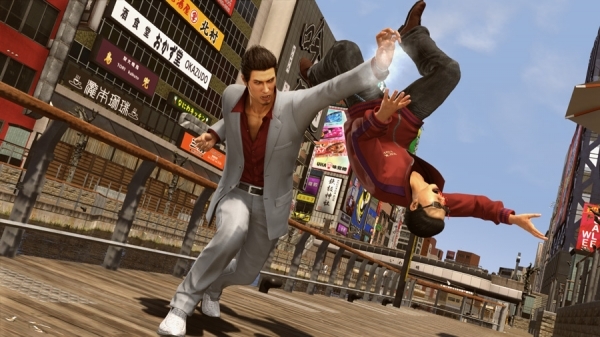 In addition to the updated Heat Actions from Yakuza 6: The Song of Life, a variety of super flashy techniques have been added. Take advantage of the situation and environment to unleash various Heat Actions. Each one is an exhilarating and exceptional attack. 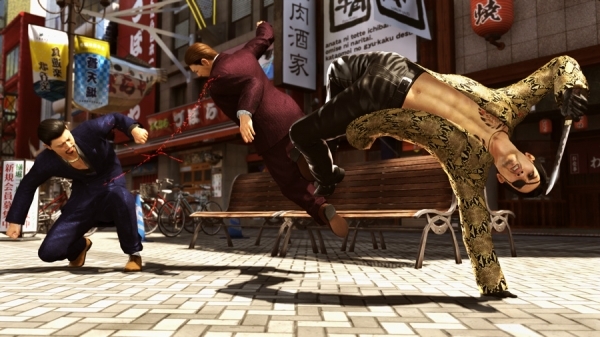 Majima Goro utilizes his speed to fight with an ever-changing attack style. 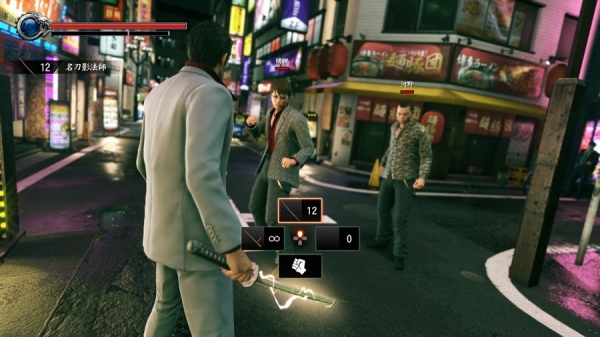 While keeping alive the feeling of exhilaration offered by previous playable incarnations of Majima Goro, this game uses the Dragon Engine to incorporate a system in which enemy reactions change based on the body part, direction, and angle Majima’s attack hits, and is tailored to give combat a more intuitive feeling than previous games. 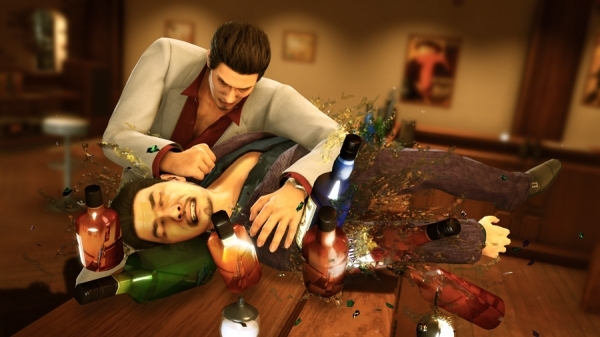 Majima Goro’s battle style is characterized by his always-equipped “Chimera Dagger” and long-reaching attacks, and has a completely different feeling of control when compared to Kiryu’s battle style. 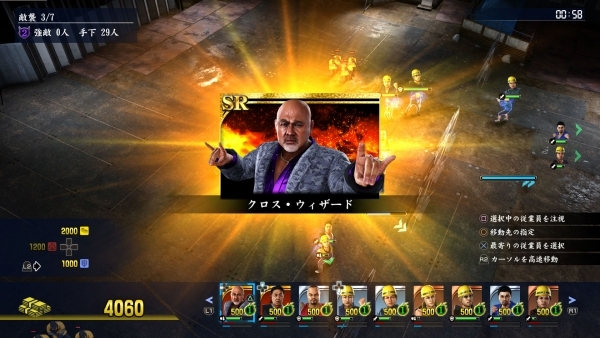 Legendary wrestlers Keiji Mutoh, Masahiro Chono, Riki Choshu, Genichiro Tenryu, and Tatsumi Fujinami will appear as rival characters in the “New Clan Creator” play spot, and stand in the path of protagonist Kazuma Kiryu. On a construction site crowded with muscular men, will Kiryu be able to defeat these legendary wrestlers? 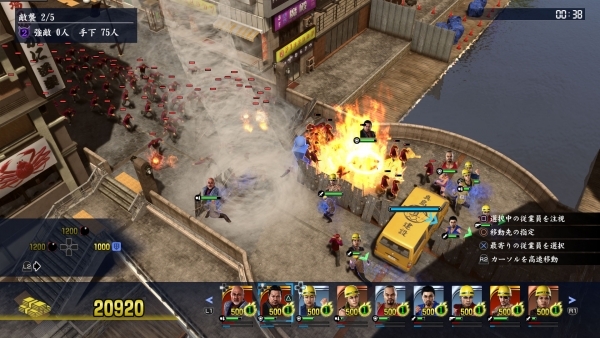 With the New Clan Creator play spot, you can enjoy dynamic strategy battles in which hundreds of characters participate. Kiryu will become the site foreman of Majima Construction, and in order to protect the facility from outside enemies, he will carefully deploy its workers and issue them instruction. Workers have various abilities and special technical skills, and whether or not you use them skillfully is the key to either victory or defeat. 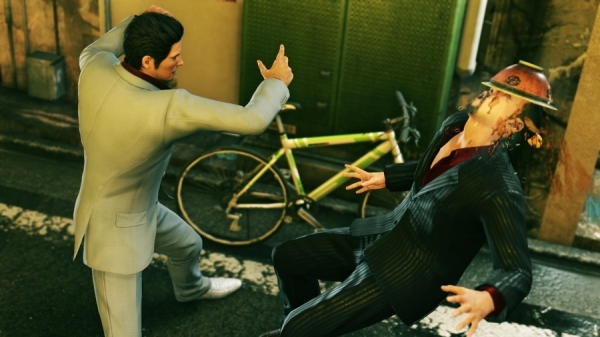 In addition to legendary wrestlers, many familiar characters from the Yakuza series will also appear. By connecting to the network, you can check the national rankings and take on numerous limited missions.